for $259,900 with 4 bedrooms and 3 full baths. This 2,142 square foot home was built in 1992 on a lot size of 0.46 Acre(s). New Listing! This walkout ranch has it all! 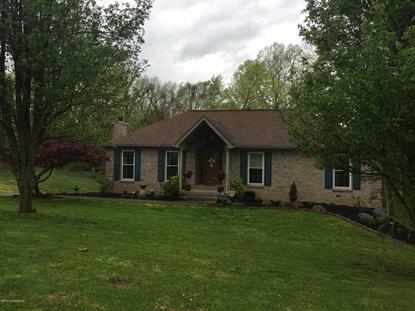 4 bedrooms, 3 full baths, .46 acre lot, attached 2.5 car garage plus privacy fenced inground pool - perfect those those upcoming summer days! Beautiful vaulted great room with fireplace. Extra large eat-in kitchen with new quartz counter tops, updated appliances and plenty of storage space! Master suite with private bath, 2 other bedrooms and a full bath with skylight complete the first floor. large family room finished in walkout lower level, convenient 4th bedroom plus pool friendly 3rd full bath and sliding glass doors lead to privacy fenced inground pool with new pool pump in 2018. Excellent Hillview location only minutes to I-265, I-65, shopping, restaurants! Call today!